This head of cauliflower weighed about 5 pounds! 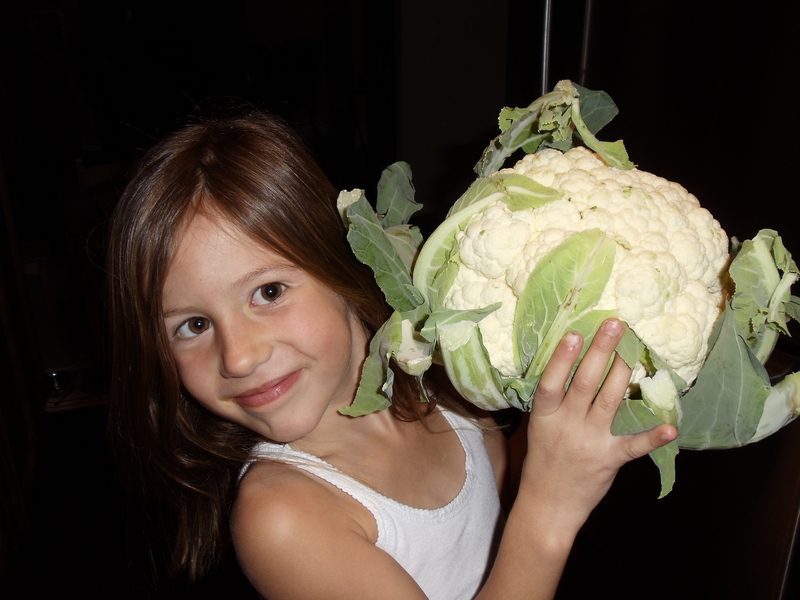 What to do when you get cauliflower bigger than your daughter’s head? Make soup! There are so many different ways to go about this: first, I envisioned a creamy, nutmeg-laced dish, but it was far too heavy for the unseasonably warm weather we’ve been enjoying this winter. Instead, I roasted the florets along with some garlic cloves, sauteed a few shallots in a big pot, and added smoked paprika. When the cauliflower was carmelized and golden brown, I put that in the pot, covered it with chicken stock, and cooked it until the cauliflower was fall-apart tender. Then it was ready to turn into a silky puree, only needing a touch of salt and pepper to bring out the smoky sweet flavor that roasting begets. Roasted Cauliflower and Smoked Paprika Soup 1 head cauliflower, core removed, cut into florets3 garlic clovesolive oilsalt and pepper2 shallots, diced1 tablespoon smoked paprika4 cups good-quality chicken stock, plus additional 1 cup to adjust consistency, as needed Heat oven to 375 degrees. Toss cauliflower florets and garlic in olive oil, salt and pepper, spread out on a baking sheet and roast in oven until florets turn golden brown, about 15 minutes. 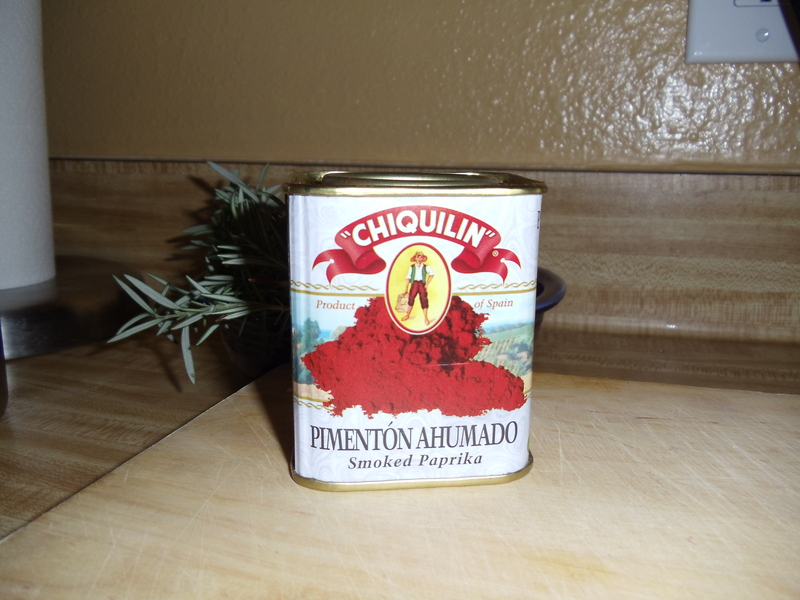 Remove soup from the pot to a food processor or blender, working in batches if neccessary. 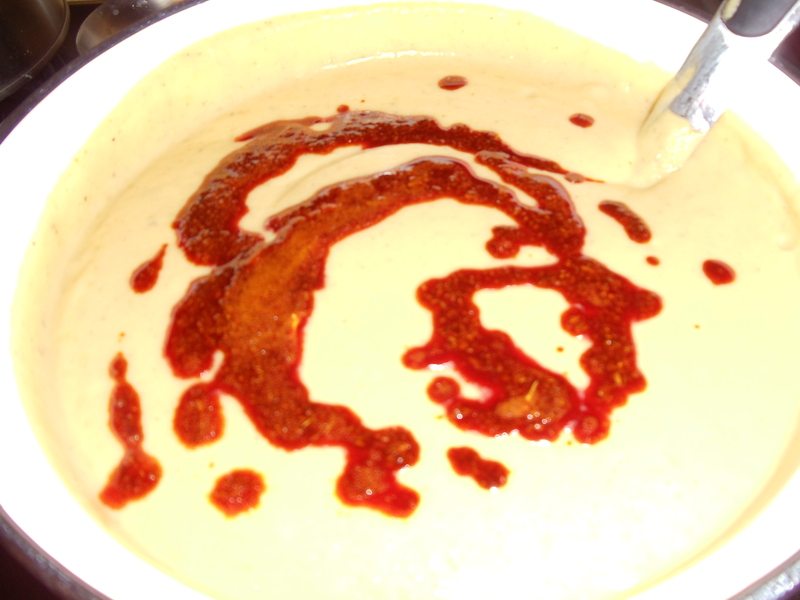 Puree the cauliflower mixture until smooth, adding additional stock if needed to adjust consistency. Return puree to pot, reheat and season with salt and pepper to taste. We’ve been getting a generous share of green beans this fall, and as is typical of too much of a good thing, we are getting a bit over-saturated. Roasted green beans, blanched green beans, green bean casserole, green bean stir fry. The list rolls on like Bubba going on about shrimp in Forrest Gump. 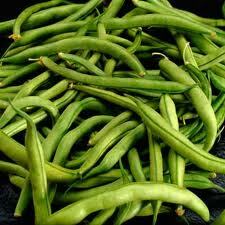 As plentiful the green beans are, I never grow (that) weary of them. My favorite way to dress them up? Sauteed with olive oil and a few of my favorite Mediterranean flavors like tart, sweet sundried tomatoes, toasty pinenuts and zingy mint. Use the shallots in your farm box for an earthy base. Heat a large skillet and drizzle with olive oil. When oil is heated, add shallots and garlic, and cook until softened. 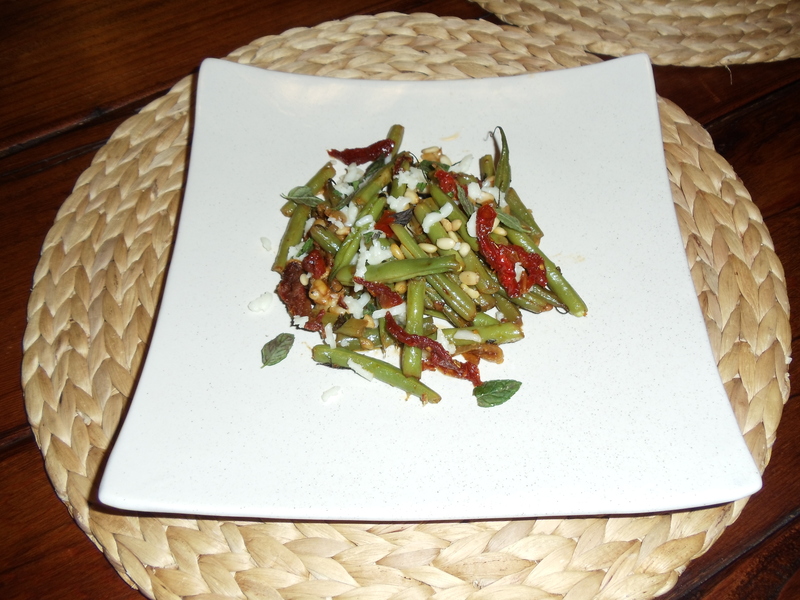 Add green beans and sundried tomatoes, and cook until green beans begin to soften, about 3 minutes. Add chicken stock and bring to a boil, then reduce to a simmer, and cover. Cook green beans until crisp but tender, then add cheese, mint and salt and pepper.